So it turns out that growing food on the roof of a Philadelphia rowhouse in March may be tougher than I thought. 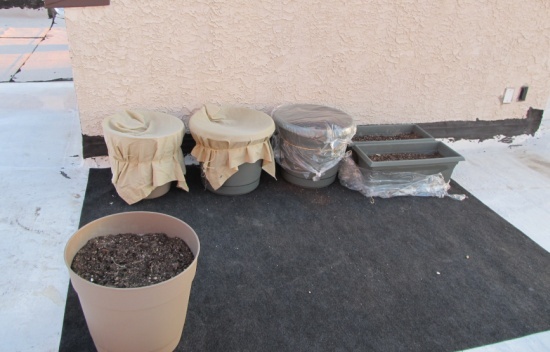 while all the experts agreed that it was time to put out the snow peas, spinach, and some other cold weather seeds and seedlings in March, things got off to a rough start on the rooftop. 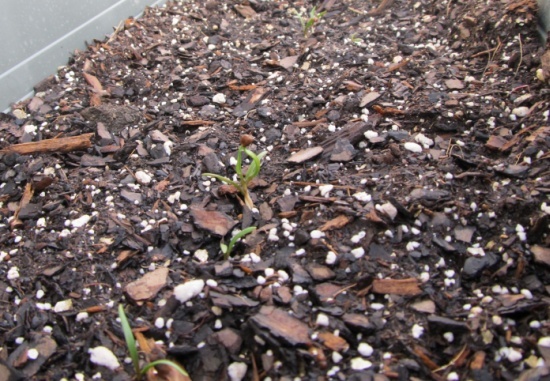 The spinach was supposed to take 5-10 days to germinate, but it was nearly three weeks before I started to see any growth. 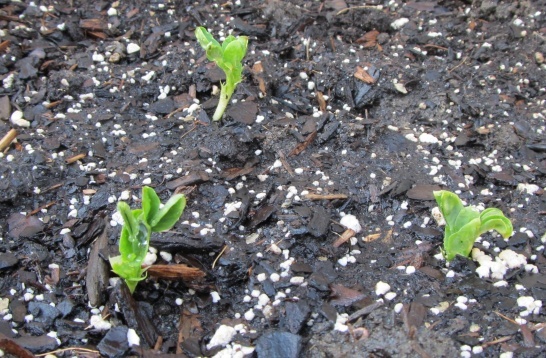 And while the snow peas peeked up through the soil rather quickly, all they did was peek. The plants seemed to hold steady for a few weeks with little to no growth. My best guess is that it’s awfully cold and windy on the rooftop and there’s not a lot of protection. I moved the plants closer to a wall, which may or may not be helping. This week has been very warm, which I’m pretty sure is the biggest reason things are starting to look a bit greener on the rooftop. 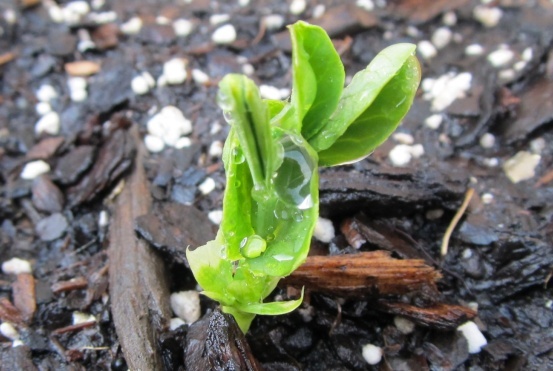 The snow pea plants are starting to open up and show their leaves, and I now have a handful of spinach saplings starting to say hello. I also tried covering the plants at night on colder evenings, but I don’t think I did this regularly enough to tell if it made much difference. The seeds I started indoors, are another story. Fearing that the outdoor snow peas might not make it, I started a couple of plants in seed trays and then took them outside where each one promptly died. That’s not surprising, since snow peas are known to dislike transplanting. But I think the bigger problem is that I let them grow too large indoors. They were all stem and few leaves thanks to not enough light, nutrition, and other factors. I had also been growing garlic chives, bunching onions, and bok choy indoors. The first time I tried transplanting some onions outdoors, they died almost instantly. So I let the plants hang out in the seed trays for a few more weeks… which I’m pretty sure was way too long. Yesterday I went to transplant some of the onions into larger pots, and I noticed that almost all of the roots had dug through the bottom of the tray searching desperately for space. I don’t have a lot of hope for their survival now. The bok choy had similar problems. I think I may have successfully salvaged a few plants by putting them in larger pots — but I think my best chance at getting bok choy to grow properly is just to seed it directly outside. It may be that I just need to resign myself to the idea that the growing season on my rooftop starts in April, not March. 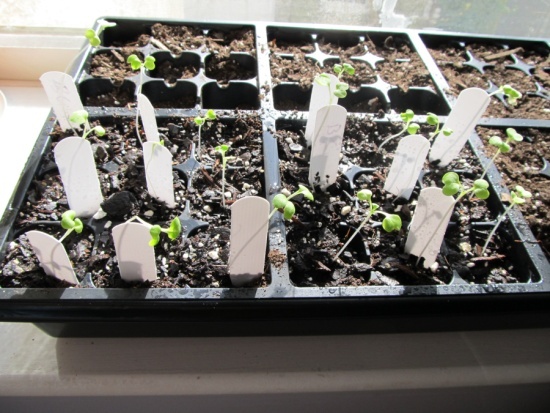 But practice makes perfect, and I’ll probably try starting some other plants in seed trays as the season progresses. 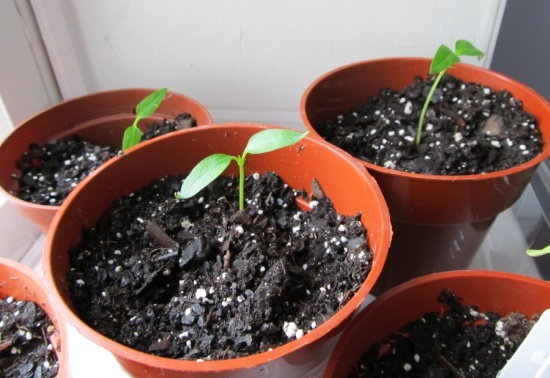 Hopefully by the time next year comes around I’ll have a firm enough grasp on how to get plants started indoors to at least get started in mid-March if not early in the month. I still have high hopes for the sweet peppers I started in a seed tray recently. These guys are younger than the doomed onions and bok choy plants, and so I think I moved them into larger plants at just the right time. 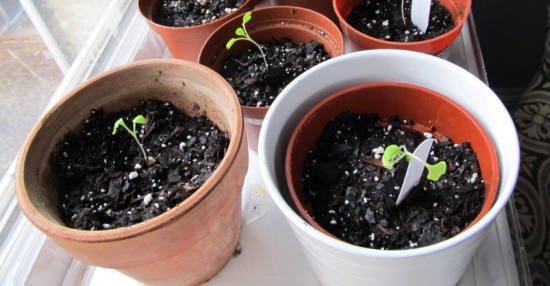 I just hope they don’t grow too big indoors, because I won’t be putting them out on the roof until mid-May.